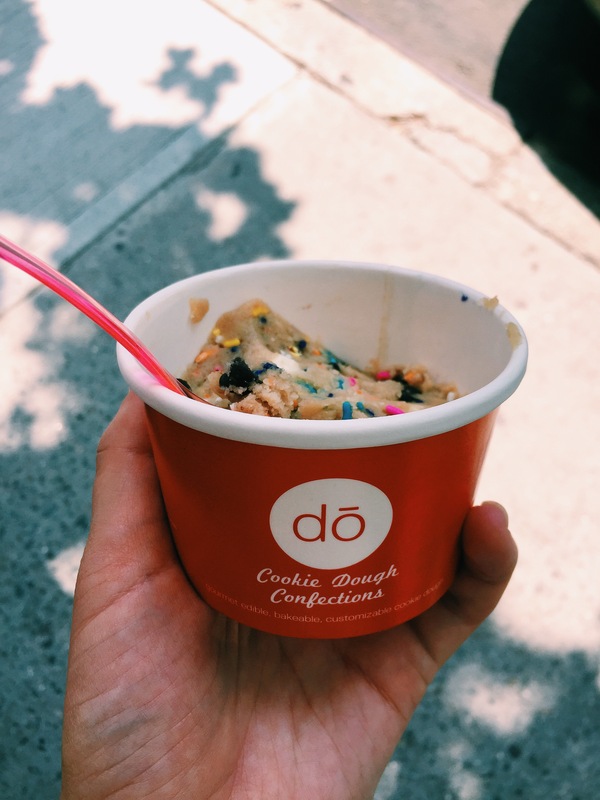 Finally got my hands on some DŌ cookie dough! This stuff is magical, but definitely best in small doses since it is ridiculously sweet. And one small container is enough for two people (Naturally, Ben and I each got our own). 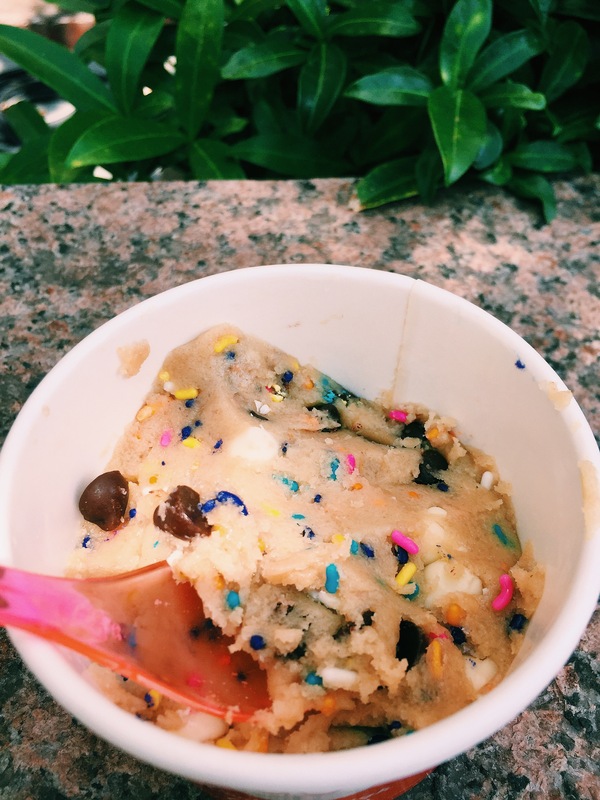 I ended up getting the cake batter flavor and Ben got the classic chocolate chip. 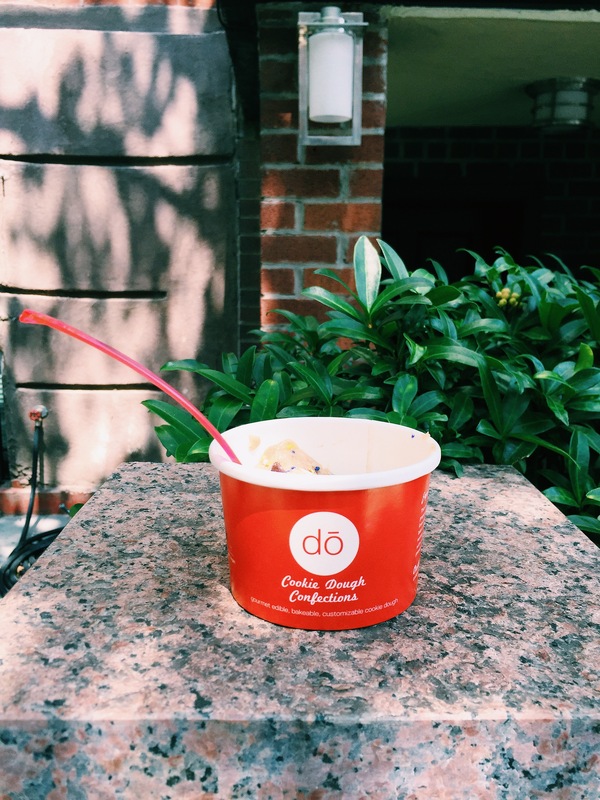 Both were delicious and tasted like genuine raw cookie dough. One thing though: I really wish they had a place to sit inside! 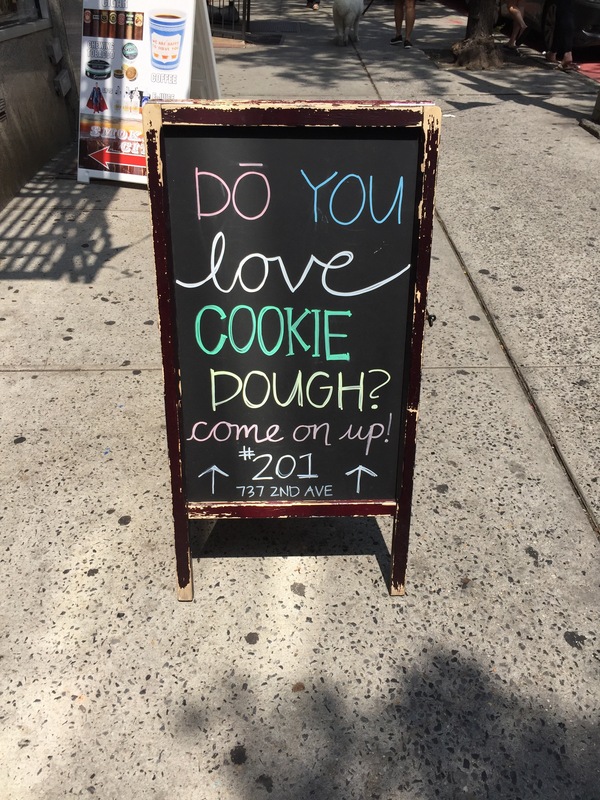 It’s located on the second floor of a building and the small suite is just their kitchen where they also sell the cookie dough.